In a new session with Rolling Stone, Fleetwood Mac guitarist Lindsey Buckingham talks about the release of the 4-song “Extended Play,” the band’s first new music in 10 years. Buckingham explains the story behind the new project, released in sync with their current tour. "When we finally decided this was going to be the year we were going to tour again, I thought it would be great to cut some new stuff," says Buckingham. "I knew we wouldn't have time to cut a new album. 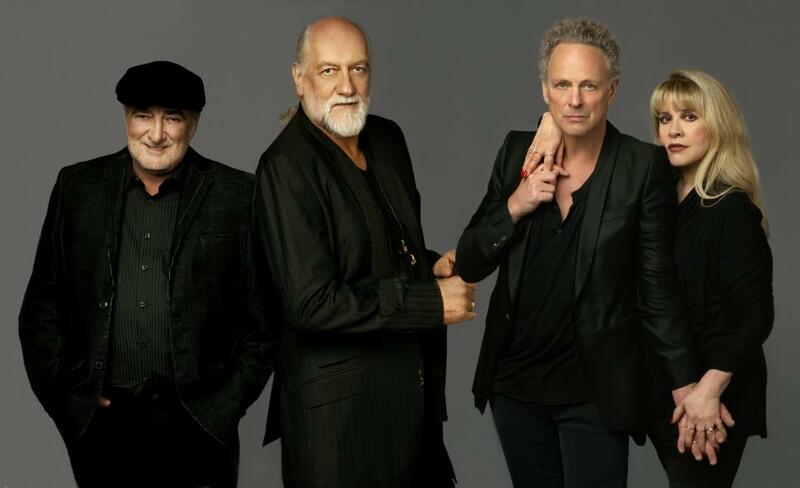 Stevie [Nicks] was still caught up in her solo thing, but I got John [McVie] and Mick [Fleetwood] over from Hawaii. They played their asses off. It was a great experience." Nicks arrived at the sessions towards the end, and Buckingham presented her with "Sad Angel." "I wrote that song for Stevie," he says. "She always had to fight for everything. She was coming off a solo album and was in the process of reintegrating herself mentally in the band, and we're all warriors with a sword in one sort or another. She and I have known each other since high school. So I just wrote, 'Sad Angel have you come to fight the war/We fall to earth together, the crowd calling out for more.'" "Sad Angel" reflects on Lindsey and Stevie's complex relationship. "All these years later, we are still writing songs that are dialogues for each other," he says. "That was part of the appeal of Rumours, and of the group in general . . . Of all the things we cut, 'Sad Angel' was, for lack of a better term, the most Fleetwood Mac-y. It was really kind of the best stuff that we have done in a while." Read more with Buckingham at Rolling Stone here.